Abstract: This essay examines Loyalism as a sociopolitical phenomenon in Suffolk County, New York, during the American Revolution. In particular, it offers a large-scale prosopographical analysis of around 2,700 inhabitants in Suffolk who took the oath of allegiance to King George III and Parliamentary rule in November 1778. This essay first breaks down oath-takers’ lives in seven townships: Brookhaven, Southampton, Easthampton, Huntington, Smithtown, Islip, and Southold. Second, it offers a composite depiction of Loyalists in Suffolk County, challenging historians’ long-standing views of who the Loyalists were. Then, this essay moves on to discuss the oath of allegiance as a historical source, examining issues that must be considered when using it. Namely, the extent of these New Yorkers’ voluntarism. Did they sign their names because they were genuinely Loyalist? Or, to what extent were they coerced? With this approach, this essay offers new insight into the nature of allegiance and voluntarism in one county during the American Revolution. Keywords: Allegiance, coercion, committees, Loyalism, voluntarism, William Tryon, Suffolk County. 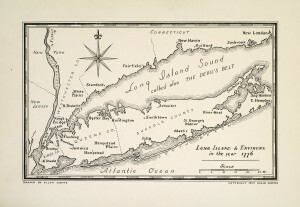 Figure 1: “Map of Long Island,” ca. 1776, taken from William H. W. Sabine, Suppressed History of General Nathaniel Woodhull, President of the New York Congress and Convention in 1776 (New York: Colburn & Tegg, 1954). Collection of The New-York Historical Society. In the early stages of their seven-year occupation, British forces sought to ensure that New Yorkers articulated their political sentiments. In October 1776, Col. William Axtell, a wealthy Caribbean-born resident of Flatbush, administered the oath of allegiance to King George III to the inhabitants of Kings County. British officials also administered the oath to the inhabitants of Suffolk County. A few months later, in March 1777, the royal governor of New York, William Tryon, administered the oath to the inhabitants of New York City. Finally, in November 1778, the oath was offered to the inhabitants of Suffolk County for a second time. On each occasion, the oath was administered only to males; no women took the oath of allegiance. Most of the men who took the oath were white, too. But in the New York City, eleven blacks took the oath. They were segregated from the rest of the oath-takers, described as “Free Negroes.” None of the other oaths distinguished what the oath-takers’ ethnicity was, making it difficult, if not impossible, to determine their color. The ages of the oath-takers was wide-ranging, as well. Colonists’ ages varied from as young as fifteen to well into their mid- to late eighties. There might have been other occasions when the oath of allegiance was administered in New York, but the sources have either not survived or are yet to be found. But using the claims as an accurate barometer of colonists’ social status is riddled with difficulties. Numerous historians have highlighted this, arguing that Loyalists often embellished their statements. They made grand, histrionic remarks about their political views and behavior. Further, Loyalists’ memorials were often supplemented by supporting statements from friends and family members, all of whom wanted the claimant to receive as much recompense as possible. Yet, Brown accepted the integrity of the embellished testimonies, surmising that the alleged losses were representative of each claimant’s wealth. The claims, then, should not—cannot—be seen as representative of Loyalists as a group. Despite the unrepresentativeness, or unreliability, of the claims, historians are yet to advance our understanding of “who” the Loyalists were. To be sure, many have offered general remarks on their social composition, showing that they were not all royal officeholders or the socio-economic elite. William H. Nelson, for instance, referred to them as “conscious minorities,” while Paul H. Smith proposed that there were office-holding and wealthy Loyalists but there were also “tenants, indentured servants, poor mechanics, and artisans.” Moreover, Stefan Bielinski, in An American Loyalist: The Ordeal of Frederick Philipse, argued that Loyalism in New York transcended ethnic, economic, racial, religious, and social boundaries. More recently, Ruma Chopra suggested that Loyalists were “a diverse group of Americans.” Maya Jasanoff, similarly, jettisons the notion that Loyalists were “a small conservative elite.” Instead, she argues, they “cut right across the social, geographic, racial and ethnic spectrum of early America—making Loyalists every bit as ‘American’ as their patriot fellow subjects.” Loyalists were not, then, as dissimilar to the Patriots as recent filmmakers might have us believe. The oaths of allegiance, as a historical source, offer a more reliable means through which to examine Loyalists’ social status. Unlike the claims, the oaths contain a list of names, ages, and occupations. There is no room for embellishment. Prior to his essay, moreover, historians have not systematically used the oaths as a means through which to determine who the oath-takers were. By focusing on the Suffolk County oath and undertaking quantitative and prosopographical analyses of the oath-takers, this article challenges Brown’s findings. Not only will such an examination tell us with greater accuracy who the Loyalists were in Suffolk County, but, more importantly, it will also offer us a unique insight into the social structure of one area in Revolutionary America. The reason underpinning the extended was simple. As Ed Countryman has noted, most of Suffolk’s inhabitants were rebels. It was “a county of consensus.” And, from 1774, the political architecture of the county had been dismantled. The county’s political system was no longer run by British officials. Instead, political responsibility for the county fell upon the shoulders of a well-organized committee of safety. It is likely the British recognized the reorganization of Suffolk’s political setup. In the other areas where an oath was administered, William Tryon did not have the same issues. New York City was the center of British operations; rebels could be easily suppressed. In Kings County, the inhabitants were quite willing to switch sides as their circumstances changed. They were neither loyalist nor rebel. But Tryon appreciated the difficulties with allegiance in Suffolk County. Thus when the oath was drafted, it is probable Tryon dictated how it should outline how the inhabitants were expected to behave. The oath was explicit. The oath-takers would adhere to—and by extension support—the reestablishment of British rule. In Tryon’s eyes, the oath-takers would be loyalists by default. With a strict oath on hand, it was administered township-by-township. On the eve of the Revolution, there were around 14,000 people in Suffolk. (Precise data is not available pertaining to its exact population, but, according to Governor Tryon, in 1771, the county had 13,128 people in it.) 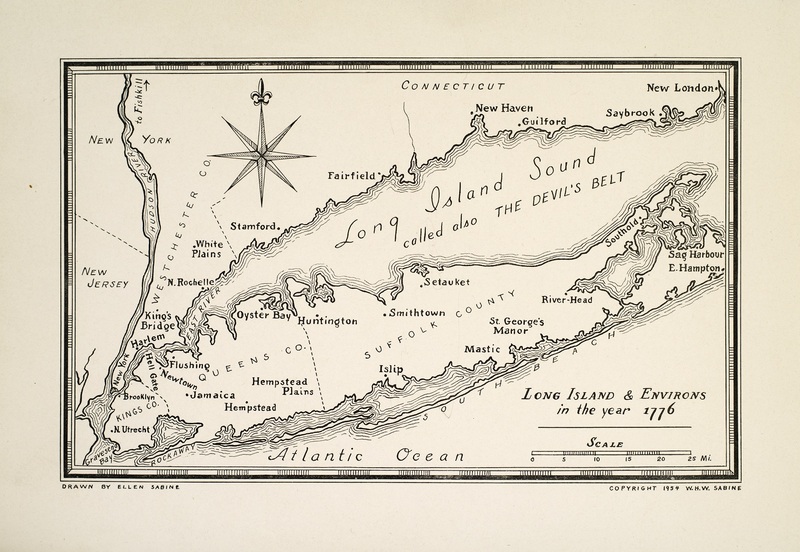 In the four years that followed, Tryon commented that the population of the entire colony, including Suffolk, had been “greatly augmented.” Suffolk was made up of eight rural townships: Brookhaven, Easthampton, Islip, Huntington, Smithtown, Southampton, Southold, and Shelter Island. Some basic data is available covering the population of most of the townships. According to a basic census, taken in mid-1776 and printed in Peter Force’s edited multi-volume American Archives, the most populous town was Southold (3,177). Then, it was Brookhaven (2,544), Southampton (1,392), Easthampton (1,317), Smithtown (720), Islip (369), and, lastly, Shelter Island (173). The records included white and black men, women, and children. But these data should be read with caution, however. It is incomplete. Arguably the most populous township, Huntington, was not included in the records. But it is likely that its population equalled or slightly outstripped that of Southold’s and Brookhaven’s. Over two years later, British officials had solidified control of southern New York. And, in November 1778, Governor William Tryon administered the oath of allegiance to inhabitants in Suffolk County. Colonists took the oath according to which township they lived in and, depending on the township’s size, the number of oath-takers varied. In Southold, for instance, the most populous township as per the census, 563 inhabitants took the oath. In Brookhaven, 536 inhabitants did. Of the other townships, 544 men took the oath in Southampton, 274 took the oath in Easthampton, 561 took the oath in Huntington, 143 took the oath in Smithtown (the document incorrectly states that 111 did), and 88 men took the oath in Islip. From these general figures, the number of oath-takers ties in neatly with the populations of the different townships. That is, where there were more people, there were more oath-takers. As such, a high proportion of the male inhabitants from each township took the oath. From the basic census that was taken of Suffolk County’s inhabitants, two years earlier, it sub-divided the inhabitants. It listed heads of households and distinguished males between above 50 years old, over 16, and under 16 years old. Similarly, women were listed as above and below 16 years of age. Finally, the census listed how many slaves each head of household owned, if any. A large proportion of the people in the 1776 census took the oath of allegiance two years later. In Brookhaven, 504 men were listed as aged sixteen or over; 535 took the oath of allegiance. In Southampton, 346 men aged over sixteen were listed on the census; 544 took the oath of allegiance. In Easthampton, 318 men were listed as aged sixteen or over; 274, or 86 percent, took the oath. In Islip, 83 men were listed in the census, while 88 took the oath of allegiance. And in Southold, 716 men were listed as aged sixteen or over; 563, or 79 percent, took the oath of allegiance. The discrepancy in ages among some of the townships can be partly accounted for—not all of the oath-takers were aged sixteen or over; on the contrary, there were a number of children aged fifteen who were administered the oath, usually alongside their father. From the available document, it appears that the oath was not administered in several areas within Suffolk County. For instance, it was not administered on Shelter Island. The document also did not distinguish the Manor of St. Georges and Patenship of Moriches from Brookhaven. Individuals listed as living on the Patentship were among the oath-takers in Brookhaven, even though it was a separate area within Suffolk County until after the Revolutionary War. Therefore, even though the oath-takers’ list is large, given that an equally large number of inhabitants left Suffolk, what follows is a snapshot of the population. There are further limitations to the oaths’ use, too. They do not offer a composite depiction of the oath-takers’ wealth or property holdings. Reliable data to fill in the gaps is not available, either, making it difficult to put forward further interpretative analyses against Brown’s findings in The King’s Friends. Thus the analysis that follows is a case study of the occupations and ages of Suffolk County’s Revolutionary population only. In Brookhaven, 535 men took the oath of allegiance. Of these men, the three oldest were sixty-nine years old; fourteen were aged just fifteen. The average age of Brookhaven’s oath-takers was thirty-five, indicating that those who were administered the oath were economically independent and financially stable. Of the 534 men whose occupation is quantifiable—one individual’s information is ineligible—it appears that a vast majority of the men were farmers. In fact, over ninety-five percent were. There were twelve other occupations. Out of 534 oath-takers, four were carpenters and weavers; three were mariners or cordwainers; and two were blacksmiths, millers, shoemakers, or tailors. Finally, there was a clothier, a hatter, a nailer, and a physician. After the oath-takers in Brookhaven, Tryon submitted 544 names from Southampton. Of these, three are ineligible and have been removed from the following analysis. The eldest oath-taker was David Hains, who was eighty-seven years old. Like Brookhaven, the youngest oath-takers were aged fifteen. The average age of an oath-taker in Southampton was older than in Brookhaven, though, 38.725 years old. This is due to a higher number of elderly colonists—in Southampton, there were thirty-three oath-takers that were seventy years old or older. In Brookhaven, there were none. The occupational characteristics of Southampton’s Loyalists were different, as well. Not only were there more occupations represented, but there were more men within those trades. Information for 540 men is available—Josiah Sandford did not list his age or occupation. From an analysis of these men, just over fifty percent were farmers; just under nineteen percent were weavers; over five percent were cordwainers; just over four percent were shoemakers; about three percent were blacksmiths, coopers or carpenters; two percent were joiners; and about one percent were joiners or tailors. There were twenty other occupations listed, ranging from physician to silversmith to laborer, varying from just under to just over one percent. In Easthampton, 275 men took the oath of allegiance. Of these, only one is ineligible. The oldest oath-taker, James Loper, was a seventy-seven-year-old farmer when he took the oath of allegiance. The youngest were eleven colonists who described themselves as a farmer, joiner, or shoemaker. The average age of the oath-takers from Easthampton was higher than in Brookhaven but just less than in Southampton, 38.32 years old. Like Southampton, though, there were more men aged seventy or over than in Brookhaven, sixteen. But like Brookhaven, and Southampton, a majority of the oath-takers were farmers, 42.5 percent. Proportionally, there were more skilled artisans in Easthampton than in both Brookhaven and Southampton: just under twenty-four percent were weavers; just under thirteen percent were shoemakers; about seven percent were joiners; around five percent were tailors; and about three percent were cordwainers. Of the other ten occupations, they ranged from as high as 1.46 percent (coopers) to as low as 0.366 percent (hatter, miller, merchant, minister, smith, tanner, and wheelwright). In Huntington, spelt “Huntingdon” by the British, 560 men were administered the oath, of whom there is information for 559. The eldest oath-taker, Zophar Platt, was a seventy-three-year-old farmer when he was administered the oath. The youngest were a group of seventeen fifteen year olds. The average age of oath-takers in Huntington was lower than in Brookhaven, Southampton, and Easthampton—35.47 years old. Occupationally, the oath-takers followed a similar pattern to the other townships—farmers predominated, classifying about fifty-eight percent of the oath-takers. Next, around ten percent were weavers; seven percent were carpenters; four percent were blacksmiths or tailors; three percent were cordwainers; and two percent were joiners, millers, or coopers. There were sixteen other occupations listed, ranging from shoemaker (one percent) to just over one percent (baker, boatman, butcher, doctor, fuller, millwright, ship’s captain, and shop joiner). When William Tryon submitted the oath-takers’ list to Lord Germain, he noted that 111 people took the oath in Smithtown. However Tryon or a clerk tabulated the names, it was not correct because 143 males in Smithtown took the oath. And of these men, the oldest was sixty-eight-year-old Jonathan Mills and the youngest were four fifteen-year-olds, William Gould, Caleb Smith, Jr., Joshua Smith, and John Smith. The average oath-taker’s age in Smithtown was considerably lower than the preceding four townships; it was 33.79 years old. Once again, a majority of the oath-takers were farmers—just over sixty percent—and a decent proportion were weavers—just under twelve percent. Underneath them were carpenters (7.6%), mariners (5.9%), cordwainers, shoemakers, and laborers (2.8%), and hatters and millers (1.4%). Five occupations comprised less than one percent, representing a single oath-taker. Of all the townships where the oath of allegiance was tendered in November 1778, Islip offered the fewest oath-takers. After Shelter Island, where the oath was not administered, Islip had the smallest population. Three individuals, moreover, did not take the oath of allegiance; instead, because Ebenezer Bowers, Hamilton Darling, and Thomas Sands were Quakers, they affirmed their commitment to British rule. As such, eighty-five people took the oath of allegiance; three affirmed their allegiance to King George III. For simplicity, they are referred to as oath-takers in the following analysis. The eldest oath-taker, William Smith, was sixty-nine years old when he was administered the oath, while the youngest, Jonas Smith, Willet Green, John Simmons, and David Brush were sixteen years old. The average age of an oath-taker from Islip was 34.63 years old. The occupational makeup of Islip’s oath-takers follows the same pattern as the other townships—most of colonists were farmers. In total, about eighty-three percent of the oath-takers were farmers. Of the other occupations represented, the second highest were millers and weavers, both measuring just over three percent of the oath-takers. There were seven other occupations, but none measured much above two percent of the total. The final list of oath-takers submitted by Governor William Tryon across the Atlantic from Suffolk County was the largest. In Southold, 563 men took the oath of allegiance. The eldest oath-taker, Eleazer Way, was eighty-one years old when he declared his loyalty to King George III. There were twenty-seven fifteen year olds, thirty-three sixteen year olds, and twenty-seven seventeen year olds. Moreover, there were 126 oath-takers under twenty years of age, reducing the average age of an oath-taker from Southold to 33.83, making them slightly older than those from Smithtown but considerably younger than the other townships’ oath-takers. There were twenty-four occupations represented among the oath-takers in Southold. One individual, Davis Gardiner, indicated to British forces that he held two jobs; he was a farmer and miller. Gardiner was the only individual in Suffolk County to do this. Of the other 562 individuals, sixty-five percent were farmers; about nine percent were cordwainers; five percent were weavers; about four percent were carpenters; and about three percent were joiners. Of the others, coopers, blacksmiths, mariners, millers, and tailors each represented about two percent of the total. Husbandmen represented one percent, while the remainder—ranging from attorneys to shipwrights—represented less than one percent of the total. The preceding analysis has focused on a collective biography of the inhabitants of individual townships in Suffolk County at one point during the Revolutionary War. The sample is not entirely representative, but it offers an interesting insight into who was living there during — and therefore affected by — the War. But what of the county as a whole? What was the occupational structure of Suffolk County in the era of the American Revolution? Of the 2,709 oath-takers, information is available for 2,702, or 99.7 percent of the total. The average age of a Suffolk County inhabitant who took the oath of allegiance to King George III, in November 1778, was 35.95 years old. This suggests that most of the men economically independent individuals who had set up their own (stable) household. A majority of Suffolk County’s oath-takers were farmers (62.1%), about thirteen percent less than the figures posited by Brown in The King’s Friends (1965). Weavers were the second most numerous, accounting for ten percent of the total. Then, the third and fourth most numerous were joiners and cordwainers, both representing about four percent of the total. Other artisanal trades were also represented, including carpenters, blacksmiths, coopers, shoemakers, and millers. Brown suggested that artisans represented about nine percent of Loyalists. When artisanal trades are combined, this analysis found that they represented about thirty-five percent of the total, a figure considerably higher than Brown’s. Mercantile occupations, which Brown estimated accounted for around eighteen percent of Loyalists’ occupations, were also represented in Suffolk County. However, commerce-based occupations, including mariners, merchants, and shopkeepers, were present but not in considerable numbers. Of these, mariners were the most numerous (28) and shopkeepers the least (1). Collectively, they represented less than two percent of the total. Professional occupations—attorneys, doctors, ministers, schoolmasters, and tutors, for instance—accounted for an insignificant portion of the oath-taking population in Suffolk. Each represented less than one percent of the total. Moreover, there none of the oath-takers indicated that they were, or had been, in service to the crown. Brown estimated that both these groups accounted for about four percent of Loyalists’ occupations. Thus Suffolk County’s Revolutionary inhabitants were a diverse group. And although a vast majority were farmers—suggesting an agriculture-based economy—the town-by-town need for skilled artisans offers a possible reason for their presence on the oaths. That is, as some ardent rebels considered leaving, it is plausible that Suffolk’s artisans chose to stay because they were unwilling to sacrifice or unable to travel with their tools. British officials who were administering the oath in Suffolk County were worried about the inhabitants. Up until a British military presence, Suffolk’s inhabitants were hardly loyal to King George III. As historians have shown, they dismantled British governance, in 1774, established Committees of Safety in its place, and hassled potential Loyalists out of the county. With a strong military presence watching on, Governor William Tryon had Suffolk’s inhabitants sign their names to a much longer oath, one that specified what they would and would not do in relation to American forces. 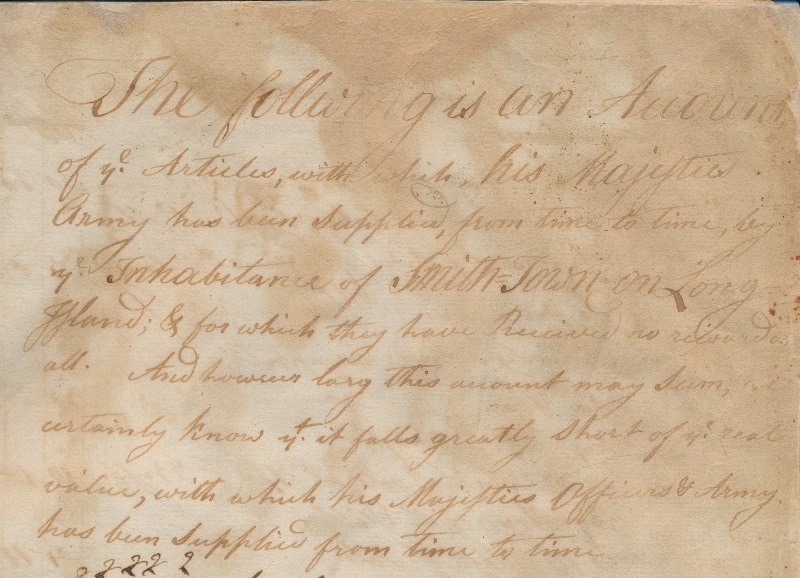 Equally important, three months before the oath of allegiance was administered, Tryon provided an incentive for recruits, stating that he would “Reward” inhabitants “two Guineas” “for every Rebel he or they shall bring to the Camp or any Party of the Kings Troops and also three Guineas for every Whale-Boat without sails and five Guineas if with her sails and Oars on delivery of them to the Qr. Master General.” Not only would the Suffolk County inhabitants be subject to intimidation and influence, but here was New York’s governor offering them a reward for their so-called Loyalism. Allegiance became a form of political currency. Clearly, then, understanding the oath-takers’ voluntarism is difficult, especially in Suffolk County. Did these people sign their names by choice? Or did they feel compelled to do so? Although the former no doubt encompasses the views of some of the oath-takers, the latter view most likely represents the views of a majority of the oath-takers’ sentiments. To categorize the oath-takers as Loyalists, then, is problematic. It draws into question the well-known terminology of the American Revolution. These people were not “Loyalists,” as we traditionally understand the term. Many of them were responding to evolving wartime circumstances that were outwith their control. They did what they had to. For Suffolk’s oath-takers, signing an oath was a more-viable option than not. If they chose not to, the British Army made their lives even harder than they already were. Thus, living under such an establishment for over two years no doubt took its toll on the inhabitants of Suffolk County. Their lives were difficult, and it appeared that nothing would change in the months or years to come. When Governor William Tryon appeared with an oath of allegiance, ready for them to sign, it was a foregone conclusion. Suffolk’s inhabitants did not have a legitimate choice. Their allegiance was not volitional; they could not choose. They were coerced. Indeed, if an inhabitant did not sign because of an unexcused absence, they received a £5 fine. The chairman of Suffolk’s Committee of Safety, Thomas Helme, took the oath, despite his clear commitment to the American cause. His reasons for signing, however, were influenced by pragmatic considerations of his personal situation. His wife was ill. His children were not old enough to survive as refugees. It was a simple calculation for Helme and many others: join the British, or face the consequences. For some, however, signing an oath did to supplant true political beliefs. In fact, some continued to challenge and undermine British military rule. John Wickes, who took the oath in 1778, escaped to Connecticut by 1780. He was fighting against the British in the 4th New York Line. Similarly, another oath-taker in 1778, John Smith, continued to fight against the British. By 1779, he was a member of a raiding party. But he was soon captured and later exchanged as a prisoner of war. Other individual cases appear within the record, as well. After taking the oath, Cornelius Conkling was appointed commander of Huntington’s militia. But due to suspicions over the militiamen’s allegiance, the British did not give the company any weapons. Instead, Conkling’s unit were given laborious tasks, such as building fortifications or digging latrine trenches. Conkling deserted his unit in 1780. But these are unique examples, a small number of people who challenged British military rule. It is possible, if not probable, that most people in Suffolk acquiesced. After the usurpation of British rule, between 1774 and 1775, by 1778 their social and civic order was as it was four years earlier. Indeed, as Ed Countryman has noted, Suffolk County was defined by “a certain social sluggishness.” With a quiet, unaggressive political culture prior to the American Revolution, Suffolk’s inhabitants “let authority speak to them from above, rather than places where people chose others and were chosen themselves to wield day-to-day power.” Most of the oath-takers, it seems, reverted to their pre-Revolutionary sensibilities. When such considerations of the oath-takers’ ostensible voluntarism is brought to light, it not only shows us how wartime circumstance and the lived reality of the American Revolution influenced people’s lives. More importantly, it also questions the traditional terminology of the American Revolution. A large proportion of Suffolk County’s oath-takers were not “Loyalists,” as we traditionally understand the term. Many signed the oath because they felt they had to. This was not “Loyalism” or an indication of their commitment to the restoration of British monarchical rule. Rather, it indicates how the lived reality of war dislocated people’s allegiances and beliefs. It put them through challenges that forced them to jettison beliefs in order to protect their families. When Wallace Brown’s The King’s Friends was published, in 1965, it offered a more accurate insight into who the Loyalists were than had previously been achieved. Since then, little work has been done to challenge, or revise, his findings. Instead, historians have relied on The King’s Friends to make general statements about the Loyalists’ social composition. Yet as the preceding analysis has shown, by using other sources to conduct a prosopographical analysis of Loyalists, considerable revisions can be made. Indeed, not only did The King’s Friends over-emphasize the preponderance of farmers, royal officeholders, professionals, but it also under-emphasized how many Loyalists were artisans. The implications of the analyses put forward here are far reaching. They quantify and reinforce historians who have described Loyalists as a diverse group of individuals. They were not just farmers; on the contrary, there were bakers, fishermen, mariners, schoolmasters, and weavers, among many others. Together, these individuals took the oath of allegiance. Further, the analyses offered indicate that if similar studies were undertaken on other oaths of allegiance in New York—New York City and Kings County, in particular—it would advance our social understanding of who lived under British rule during the Revolutionary War. More significantly, though the oaths offer a more-accurate insight into the social demographics of Suffolk County, they present considerable challenges relating to the nature of allegiance. Just because thousands of people took the oath of allegiance to the British, in 1778, it did not mean they were Loyalists. In some cases, far from it in fact. This, in turn, suggests the need for additional research into the nature of allegiance—how was it defined, how was it articulated, what did it mean—in other British-occupied areas. Such research will give us additional insight into the lived experience of the American Revolution. Ruma Chopra, Unnatural Rebellion: Loyalists in New York City during the Revolution (Charlottesville: University of Virginia Press, 2011), Introduction. For the oath in New York City, see CO 5/1108, ff. 71–101, The National Archives, Kew; for Kings County, see Henry Clinton papers, vol. 274, William L. Clements Library, University of Michigan; and for Suffolk County, see CO 5/1109, ff. 1–50, The National Archives, Kew. For other declarations of loyalty, which were separate from the oaths of allegiance, see, for instance, New-York Gazette; and, the Weekly Mercury, April 17, November 11, 1776. Wallace Brown, The King’s Friends: The Composition and Motives of the American Loyalist Claimants (Providence: Brown University Press, 1965), 77–107; Wallace Brown, The Good Americans: The Loyalists in the American Revolution (New York: Morrow, 1969). For those whom the British government felt did not sufficiently prove their Loyalism, see “The Case of the Uncompensated Loyalists,” T 50/53, The National Archives, Kew. There are several critiques of Brown’s work. For a general criticism, see Eugene R. Fingerhut, “Uses and Abuses of the American Loyalists’ Claims: A Critique of Quantitative Analyses,” The William and Mary Quarterly 25, no. 2 (April 1, 1968): 245–58. For histrionic claims, see, for example, Claim of Samuel Embree, AO 13/12, ff. 334–388, The National Archives, Kew; Claim of Paul Amberman, AO 13/24, ff. 2–6, The National Archives, Kew; see also, Claim of William Waddell, Ibid., 362–374, The National Archives, Kew. For examples of witnesses’ statements, see Claim of Henry White, AO 12/24, ff. 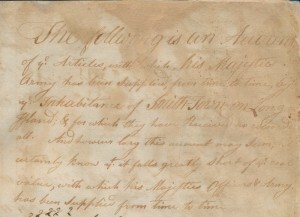 95–104, The National Archives, Kew; Claim of Archibald Hamilton, AO 12/30, ff. 1–9, The National Archives, Kew; Claim of James Leadbetter, AO 13/65, ff. 44–58, 90, The National Archives, Kew. William H. Nelson, The American Tory (Boston: Beacon Press, 1964), 19; Paul H. Smith, “The American Loyalists: Notes on Their Organization and Numerical Strength,” The William and Mary Quarterly 25, no. 2 (April 1, 1968): 261; Stefan Bielinski, An American Loyalist: The Ordeal of Frederick Philipse III (Staatsburg, N.Y.: State of New York, New York State Parks & Recreation, Taconic State Park & Recreation Commission, 1976), 2; Chopra, Unnatural Rebellion, 1; Ruma Chopra, Choosing Sides: Loyalists in Revolutionary America (Plymouth: Rowman & Littlefield Publishers, 2013), Introduction; Maya Jasanoff, Liberty’s Exiles: The Loss of America and the Remaking of the British Empire (London: Harper Press, 2011), 8. For historians who drew upon Nelson’s central thesis on “conscious minorities,” see Janice Potter, The Liberty We Seek Loyalist Ideology in Colonial New York and Massachusetts (Cambridge: Harvard University Press, 1983), 17–19; Philip Ranlet, The New York Loyalists (Knoxville, TN. : University of Tennessee Press, 1986), 187; Leopold S. Launitz-Schürer, Loyal Whigs and Revolutionaries: The Making of the Revolution in New York, 1765–1776 (New York: New York University Press, 1980), 162–163, 175, 179; Ann Gorman Condon, The Loyalist Dream for New Brunswick: The Envy of the American States (Fredericton, N.B. : New Ireland Press, 1984), ix–x, 1; Benjamin H. Irvin, Clothed in Robes of Sovereignty: The Continental Congress and the People out of Doors (New York: Oxford University Press, 2011), chap. 2; Bernard Bailyn, The Ordeal of Thomas Hutchinson (Cambridge: Belknap Press of Harvard University Press, 1974). Lawrence L. Murray, “Feature Films and the American Revolution: A Bicentennial Reappraisal,” Film & History: An Interdisciplinary Journal of Film and Television Studies 5, no. 3 (1975): 1–6; Nancy L. Rhoden, “Patriots, Villains, and the Quest for Liberty: How American Film Has Depicted the American Revolution,” Canadian Review of American Studies 37, no. 2 (2007): 205–38.